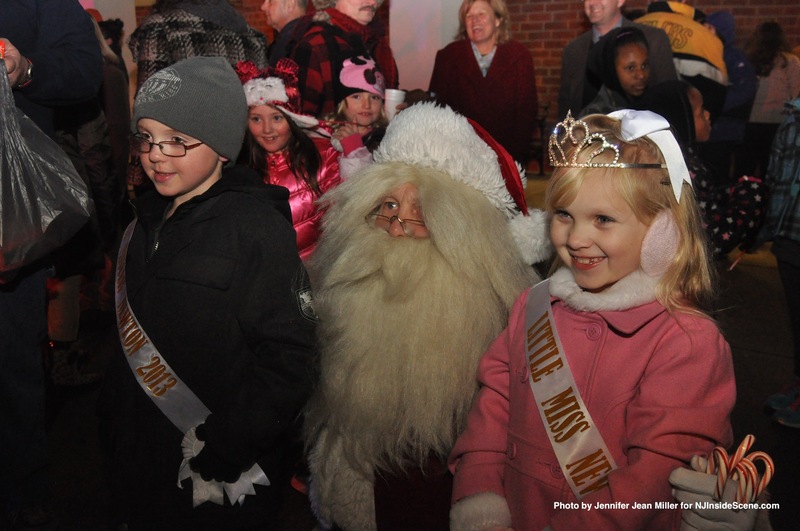 Little Mr. Newton and Little Miss Newton, Matthew Teets and Danielle Penny, with Santa. NEWTON – The chilly weather on Mon., Dec. 9, did not deter the holiday spirits in the Town of Newton, as locals celebrated one of the holiday kickoff celebrations, with the lighting of the town’s Christmas Tree, before one of the final council meetings of 2013. The Town of Newton Recreation Commission oversaw the festivities, warming attendees up with hot cocoa, with cookies as an accompaniment. Students from Newton High School and the Halsted Middle School played musical selections and sang. There were handmade decorations from the Merriam Avenue School, which families who attended placed on the tree, before the tree was lit. 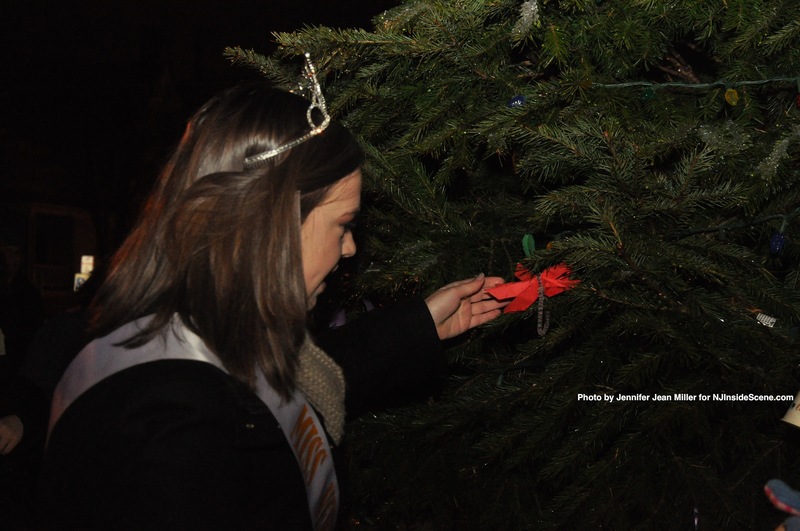 Miss Newton, Lauren Hennighan, helps to decorate the town’s tree. The 2013 Miss Newton Lauren Hennighan, Little Miss Newton Danielle Penny, and Little Mr. Newton Matthew Teets, also presided over the event. As the tree lit up with colored bulbs, some more color flashed into the night sky, as Santa arrived via Newton Fire Department’s Tower 804. 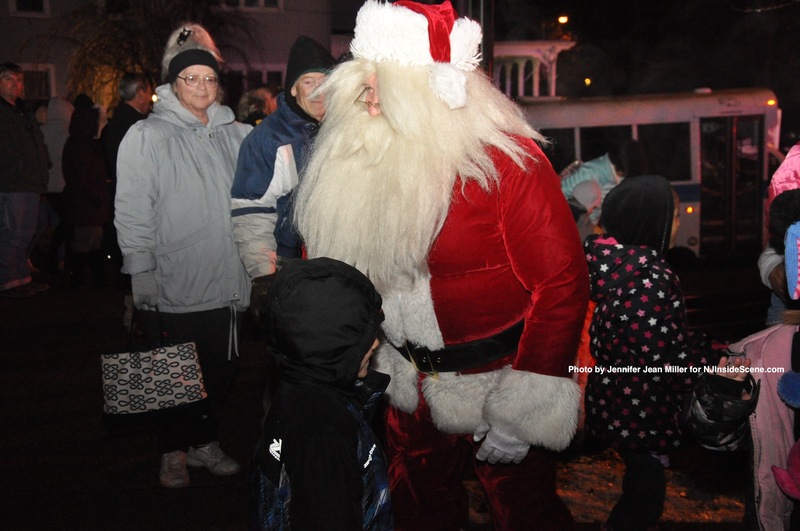 Santa visited with the attendees, posed for photos, and handed out candy canes, before the Newton Fire Department whisked him off into the night. Attendees dispersed earlier than usual due to the bitter temperatures. Click the video at the top of this story for some highlights of the event. The council meeting began at 7 p.m., and was also abbreviated, with the public portion only lasting until 7:15 p.m. There were no members of the public who spoke up during either of the public sessions, and there was no new or old business up for discussion. One ordinance that was introduced was to revise the code in the town, restricting the number of dogs permitted per household. A lively discussion took place at the council meeting on Nov. 25 about the topic. The code change has been suggested since a home in Newton was found to have 57 dogs in it last month. The dogs have since been taken in by rescue groups, and some adopted out. During the discussion, council proposed a maximum of four dogs per residence, with six for a commercial property. There will be grandfathered rules for those that had been counted in the town’s last dog census, if the numbers exceed that. Mayor Joseph Ricciardo proposed there should be a maximum of four pets per household with dogs and cats, though Town Manager Thomas S. Russo, Jr., said that there is currently no census for cats (cats, however, must be licensed). Councilman Dan Flynn disagreed there should be a cap of four pets combined, and suggested, along with councilwoman Sandra Diglio, the number of cats and dogs per residence as a maximum should be equal, though he said that feral cats tend to be an issue, that needs to be addressed. Deputy mayor Kevin Elvidge said he was not going to dictate the amount of combination pets someone should have. There are currently no rules that govern the maximum amount of dogs that residents can have, and the resident with the 57 dogs did not violate a local statute. Four ordinances were approved at the Monday, Dec. 9 meeting, at their second reading and public hearing. One of them of interest was to designate the area known as “Art Alley,” as a one-way street. The other was the approval of the ordinance for criminal background checks for those participating in the recreation department. All members of the council present (excluding councilwoman Kristi Becker, who was out ill) voted “yes” on this matter, except for Flynn. During the council and manager comments portion of the meeting, Flynn clarified the reason for his vote. “I just want to wish the public a Merry Christmas and Happy Holidays,” Diglio added. 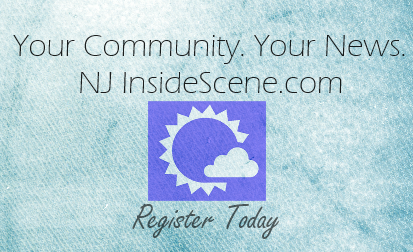 Happy holidays from NJInsideScene! Catch the “inside scene” in our area by sticking with us here, and following us on Facebook! Click here for our Facebook Page!